The suggested parking area is the Joan C. Edwards football stadium annex lot, located on 20th Street and Fifth Avenue, across from the Recreation Center. The lot is a permit lot and is patrolled by Marshall University on the weekdays from 7 AM to 7 PM, Monday thru Thursday and from 7 AM to 4 PM on Friday. 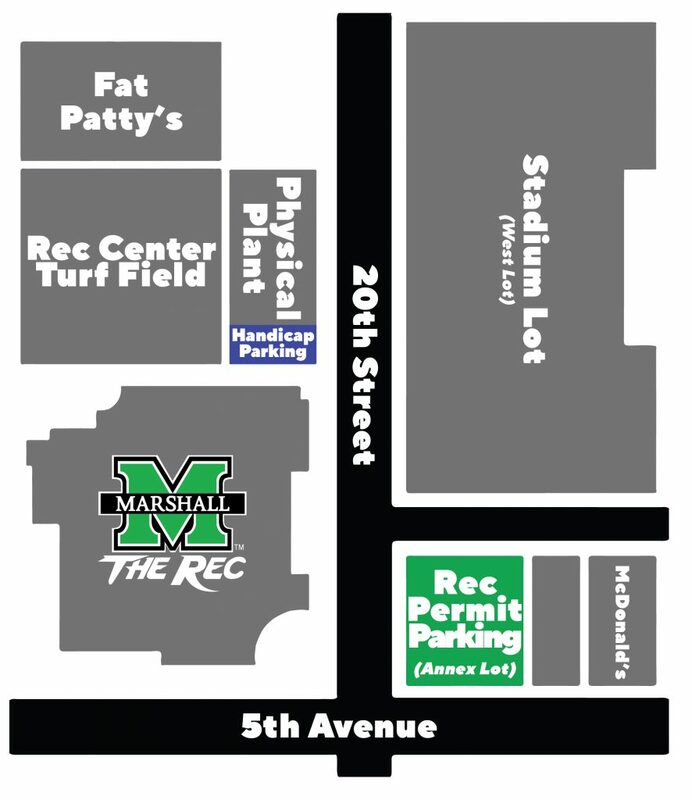 The suggested parking area is the Joan C. Edwards football stadium annex lot, located on 20th Street and Fifth Avenue, across from the Recreation Center. The lot is a permit lot and is patrolled by Marshall University on the weekdays from 7 AM to 7 PM, Monday through Thursday and from 7 AM to 4 PM on Friday. There are also meters available in the Annex Lot. 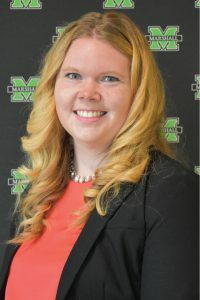 We do offer Parking Passes on behalf of the Marshall University Parking Office. The passes are available to non-student and non-faculty/staff members, as well as Medical School students who are in their second year of Medical School and beyond. In order to obtain a Parking Pass, applicable patrons must fill out the Parking Application at the ProShop. Parking Passes are $30, and run from July 1 to June 30 of the following year. Campus Recreation cannot prorate any pass. Parking in the Sorrell Maintenance Lot by the Physical Plant is NEVER permitted for Rec Center patrons.